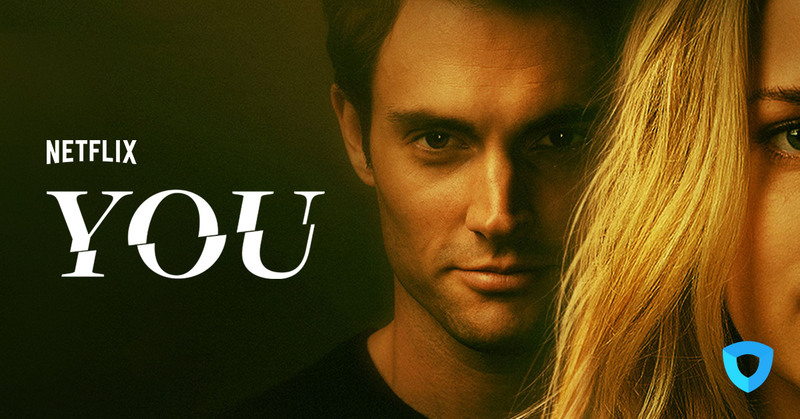 Netflix 'You' viewed by more than 40 Million & reviewed by us. Embarrassing implications of the title of the series aside, it is a wonderfully relevant name. 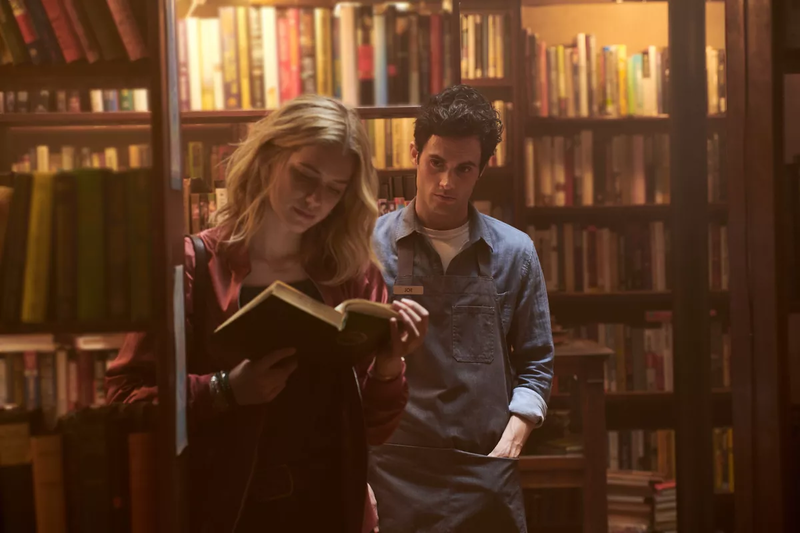 The plotline consists of an attractive man who bumps into an equally attractive girl in a bookshop. At first glance, it seems like any other boy meets girl, blah blah blah, rom-com. But then this cliché is taken to a whole other level – after this initial meeting, his life truly does become all about Beck. If we look at it from Joe’s point of view (since his life becomes a never-ending effort of tracking her movements and holding internal dialogue with her) it becomes all about YOU. Is it like anything I’ve ever seen before? In a world of romanticized notions where bumping into a seemingly polite, charming man is the stuff of dreams, it does call into question how much trust we should place in strangers. Strangely enough, to separate this thriller from others in the past is the aspect of social media that is included. Without even flinching we’re happy to post intimate occasions from our life on the internet for the whole world to see. 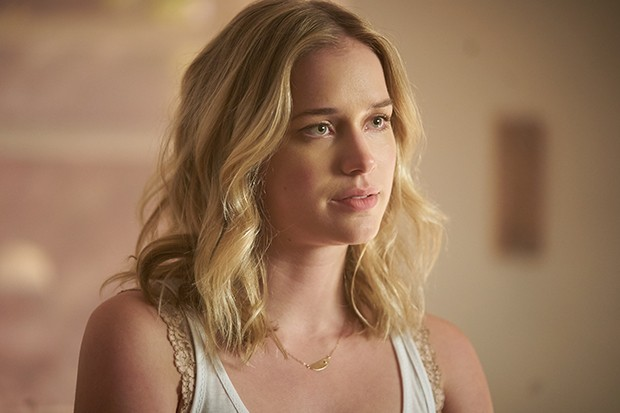 This provides the initial foot in the door for Joe: to some extent, he gauges her personality through her social media presence and develops an unhealthy obsession with Beck as a result of it. Finding the balance between stalking her at every waking moment of the day and maintaining his growing friendship with her naturally proves difficult, and will often have you white-knuckled, clutching your mug of tea as Joe digs himself into a deeper hole by crossing all given boundaries. Sounds good, doesn’t it? Everyone agrees. It seems silly to mention, but the world of memes has been invaded by stills from YOU, showing that it really has taken a hold of popular culture. 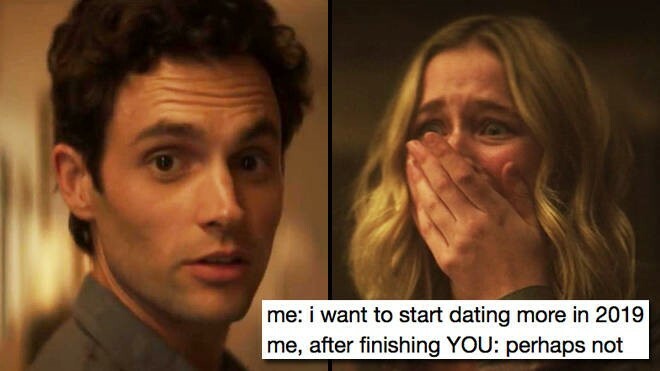 It’s not surprising – Joe, the protagonist whose real name is Penn Badgley, found fame on Gossip Girl, which itself was an incredibly popular series. If it’s being memed about, it’s doing well. 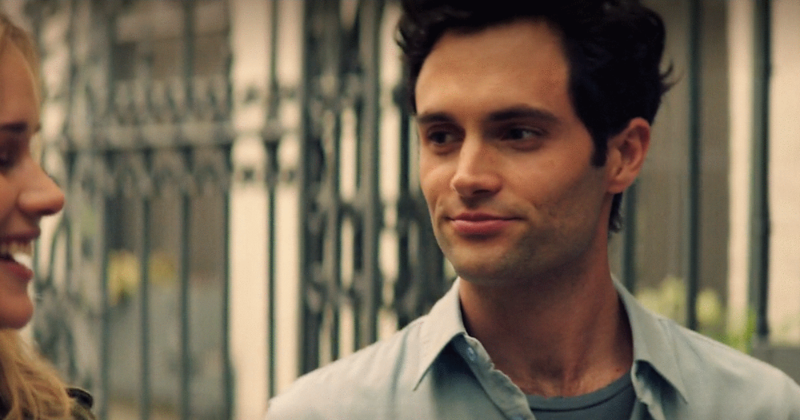 Are we meant to hate Joe Goldberg? The incredibly high standard of acting was mentioned earlier on, and here’s the reason why. You’d expect, wouldn’t you, given the fact that Joe Goldberg is an obsessive stalker, that you wouldn’t feel an ounce of sympathy for him? Worryingly, where the audience’s sympathies lie are not that clear cut. 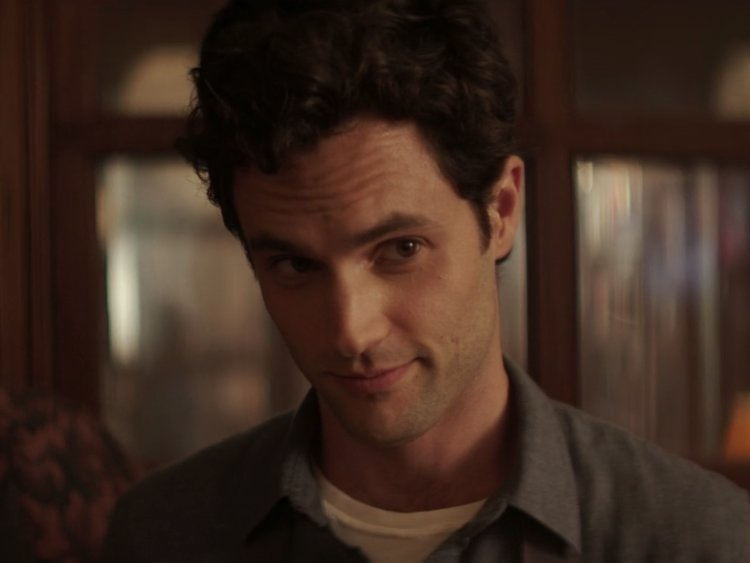 Badgely executes his role perfectly – the audience is led to believe that he truly just wants the best for Beck regardless of how alarmingly creepy he is. There is also a distinct fluidity and logic behind his actions, which even though are truly and utterly morally incomprehensible are conducted with a certain impressive grace. This is where the brilliance of the direction shines through. You never get to the extent where you justify Joe’s actions, and certainly, at some points, his behavior is downright terrifying. This terror is rather different to the terror you feel when you watch a horror film, it feels more authentic somehow. The truth of the matter is that there are people out there who have such psychopathic tendencies. 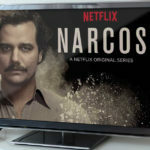 Because we are given an insight into how well he conceals his deviant behavior, the audience comes to the unnerving realization that this could well happen in real life. With supernatural terror, there is often the safety net of the fact that we can just shrug our shoulders and claim timorously: ‘ Well. It’s fine because ghosts don’t exist, right?’ After you watch an episode of YOU, one is left unhinged, wondering how often scenarios like these occur in real life. 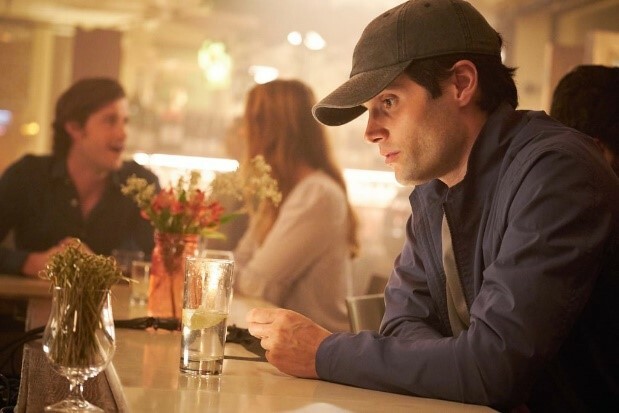 Without giving too much away, Joe forms an image in his mind about Beck that he becomes truly convinced about. He speaks to her as if she can hear him, absolutely convinced that he’s doing right by her by saving her from all of the ‘evils’ in her life. Have you ever seen a creepier head tilt? 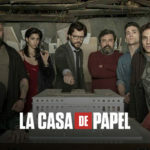 Needless to say, Netflix has renewed this for a second season as people can’t seem to get enough. Is it all about Joe? We must not dismiss the other protagonist in the story, however, as though Joe’s stalkerish POV we see events unfolding in her own personal life as well. 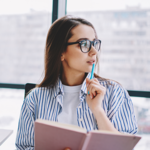 Her relationships are complicated, to say the least, and her academic career is on the verge of collapsing due to a rather unpleasant thesis advisor. While we are witnessing the dark depths of Joe’s mind, we are also being exposed to Beck’s surprisingly normal human struggles in life. The contrast between the two is so immense that if you watch an episode where more screen time is given to Beck, you become so invested in her individual story that Joe’s internal dialogue somehow sounds even more depraved. And we need to remember, that we never really see Beck outside of Joe’s point of view anyway. All we see is what he sees, which leads us to the conclusion that how people perceive things is incredibly important and can leads to so many different outcomes – casual interest from the audience, and an obsessive need ‘to protect’ for Joe Goldberg. Cute girl who’s about to get involved in some not-so-cute business. In this way also the cheesy clichés (of which there are many) work alongside the disturbing internal dialogue that operates in Joe’s head, to an altogether jarring effect. Returning to the idea that we are never COMPLETELY made to despise Joe for what he does leads to his backstory. What is it that’s made him so depraved? 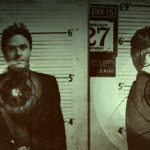 He wants to be everything that he didn’t have when he was younger – in his head, he’s a ‘good guy’. We are treated to (or subjected to) flashbacks from his own youth, where he was made to endure severe psychological violence. Not only does this lead to the faint stirrings of sympathy within the audience, but also an alarming realization that not everything is black and white. Even when Joe commits acts that are morally abhorrent, his articulate, soothing voice and dark good looks somehow keep the audience from losing interest and just labeling him ‘the bad guy. It really makes you think, doesn’t it, the extent to which people can be forgiven if they are aesthetically pleasing and have a certain way with words. It’s uncomfortable truths like these that YOU brings so artfully to the surface, and thinking about them sends shivers up one’s spine. He does look like an angel in this, doesn’t he? The dialogue in the series can often be quite cheesy as has been mentioned, but during Joe’s internal tangents it’s so sardonic that it hurts. The double narrative and incredibly unique tonal quality that we’ve been discussing above is not a happy mistake. 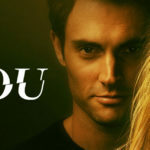 YOU is based on a novel by Caroline Kepnes, which explains all of its symbolism and deeper meaning that is often lost in the run of the mill dramas. You know how it goes – visual entertainment based on a book is ALWAYS better than those things that are not. Is everyone going to like it? A word of warning, however – some people may not be able to deal with the sheer incredulity of the fact that Beck doesn’t click onto the fact that Joe is constantly following her in his (bad) disguises. Just to give you an example of this (it’s hardly a spoiler is it) when she’s at college he simply wears a baseball cap and lurks around her, passing her in corridors, head bowed. If you are okay with the unfeasible logistics of his stalking habits, then you’re in for a treat. If you’re one of those people that simply cannot bear to watch a series where there are several logical flaws, then maybe the whole premise of the completely omniscient stalker would be one that would simply be too much for you to bear. I hear baseball caps are in fashion? Overall, YOU is a modern twist of the classic psychological thriller and effectively demonstrates the potential dangers of our current age, an issue which has rarely been explored on such a platform before. It navigates issues of money and what it means, how power can corrupt, and ultimately how the world simply cannot be viewed through a lense of polarity. There is no way of distinguishing between a good guy and a bad guy. Sometimes, it can just be a good guy who is severely ill mentally. The series also serves to explore questions about the functionality of such people with illnesses. As is demonstrated, barely anybody suspects Joe Goldberg of doing any wrong whatsoever. The truth is, the façade of normality that he maintains is too strong for people to look through. Though a terrifying thought, it works well to promote a constant undercurrent of discomfort in the audience as they watch the series. If you’re in the mood for a tense thriller that only gets more and more intriguing, YOU is definitely worth the watch.